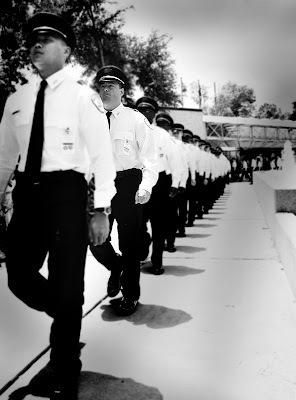 We do anticipate taking applications again in early 2012 in order to fill a spring and summer academy class. 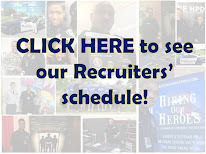 If you are interested in a career with the Houston Police Department and would like to be kept informed about future recruiting activities and application openings, please complete the contact form http://www.houstontx.gov/police/career/contact_form.htm to be added to our email contact list. Thank you for your interest. 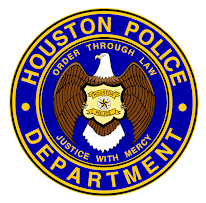 If you have any additional questions, please contact HPD Recruiting at 713-308-1300. It was a somber evening last week as another name was added to the Wall of Honor for fallen Officer Kevin Will. 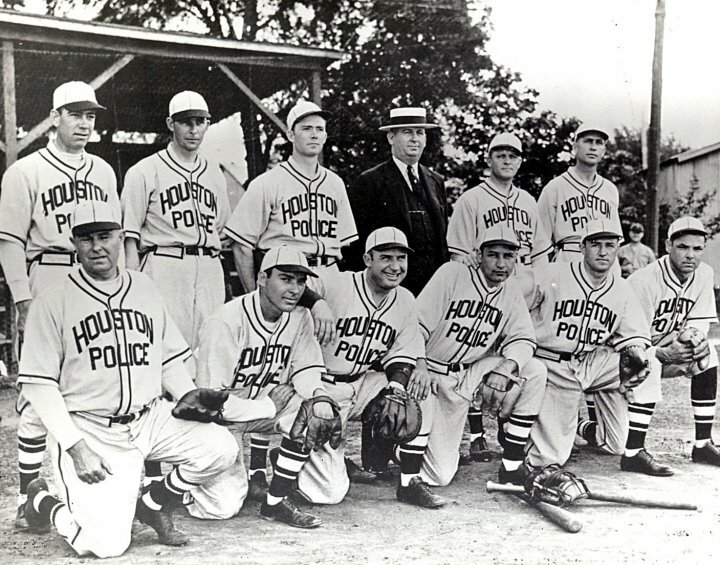 The Wall of Honor is located within the Houston Police Museum at police headquarters. 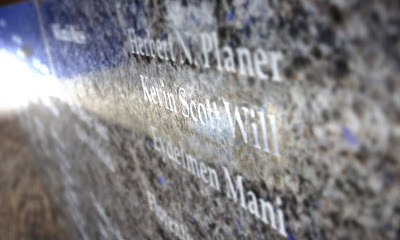 It stands as a tribute to all officers who gave the ultimate sacrifice serving the city of Houston and its citizens. 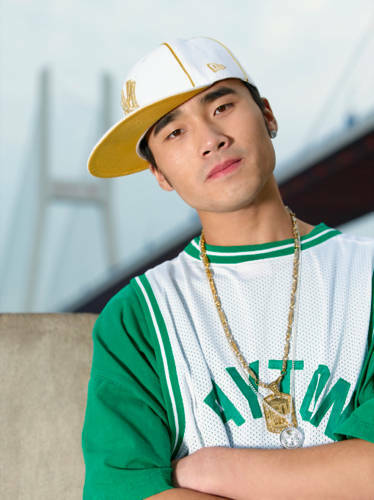 On May 29, 2011, Kevin was interviewing a witness to a motorcycle accident when a drunk driver drove around barriers and emergency vehicles which were blocking the closed freeway. Seeing the vehicle approach, Kevin warned the witness to jump out of the way. 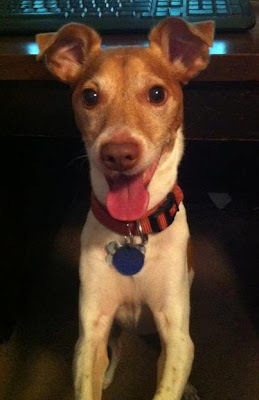 The citizen was able to jump to safety moments before Kevin was struck and killed. 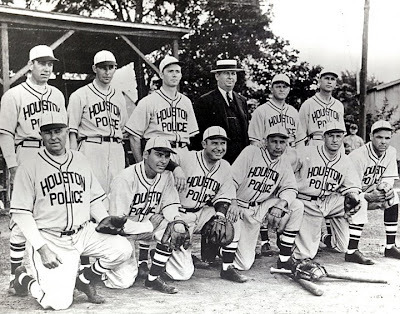 Kevin had served with the Houston Police Department for almost two years. He is survived by his expectant wife, two children, and parents. The engraving was completed as a courtesy by Schlitzberger & Daughters Monuments and Caskets. HPD appreciates your kindness and generosity in completing this very sad task. Just five more weeks remaining until graduation, and Class 210 is doing everything we can to avoid the dreaded "Senioritis". Senioritis is an infamous condition the senior class of cadets get when they can see the light at the end of the tunnel. We've been warned by just about every officer who has taught a class that Senioritis can cause feelings of euphoria which may lead a cadet to forget their place in the food chain. This contagious condition may cause cadets to forget to snap to attention quickly enough or not yell "YES SIR" loudly enough. It may cause cadets to smile at inappropriate times or to whisper during a class. There are treatments for Senioritis, but they are harsh. Commonly prescribed treatments often involve steep hills, bear crawls, ditches filled with mud, and an untold number of push-ups. Thankfully, though, there is a cure. It's called graduation, and it happens on September 27th. The cure only lasts a day, though, as it's quickly replaced by an acute form of confused delirium called Rookiementia. With Rookiementia, the real victims are the Field Training Officers with whom the rookie must ride. Speaking of riding, I recently had the opportunity to participate in the HPD ride-along program and rode for a day with Officer C. Bradshaw in Fondren Division. I saw first hand what proactive, positive spirited, educated police work is all about. In the academy, you work through scenes on paper, in film, and with actors, but seeing it done flawlessly by an expert for a single shift meant more to me than my entire academy experience. Officer Bradshaw completed a litany of calls with precision handling of angry complainants, sad complainants, scared complainants, and a collection of folks most would agree were extra suspicious. In each case, she went the extra mile for the complainant, doing work behind the scenes that the complainant would likely never know she did for them. In some cases, simply making a report would have sufficed, but she instinctively went the extra mile to make sure no stone went unturned in solving their cases. Not only was I blown away by how effective and efficient great policing can be, but I was inspired to do the same when my turn comes. As Officer Bradshaw pointed out, at the end of the day, it's good to know you did something to actually help people. Very few professions offer that kind of bonus. First day issues can be frustrating. This is a new application process and if you are not 100 percent sure on what to do it’s important that you do some research before you come down. If you have any questions, please call 713-308-1300 for an instant answer or you can email me. First and foremost, meet the requirements to apply! Flip flops, jeans, t-shirts, shorts…really? Dress in business attire or business casual. This is a job interview; leave an impression, not a wrong impression. Have all your documents when you come down. You will be turned away if you do not have ALL your documents. Unless you just like driving downtown, have all your documents in order with copies when you arrive. ALL YOUR DOCUMENTS! Don’t have your pet chicken fill out the forms. It’s really hard to read the scratch. Write legibly and neatly. Make sure all the blanks are filled. Remember, as you go along in the process, the Chief of Police will be looking at your file if you are chosen as a cadet. Do you really want the Chief of Police wondering about your writing skills? Fill out the forms correctly. Follow instructions. This is a detail oriented job. If you can not fill out simple forms while you are going through the hiring process what makes you think that you can fill out arrest warrants and detailed police reports? Take your time and do it right the first time. Yes, we did away with the height and weight requirement, but you still have to be in shape. You will be required to run the mile and a half, 300 meters, pushups and vertical jump. If you are overweight and out of shape, you might want to wait before you apply. In the mean time “google” this phrase Allzeit Bereit and keep it in mind from here on out. Doors opened today at 0800 hours. These applicant's were already in line when I arrived this morning. Some had been there since 0400 hours. When you come down to turn in your packet, please make sure you have ALL your documents and dress in business attire. Opening Day! HPD is now accepting applications for the December 5, 2011 academy class. Is it time for you to STAND UP and make a difference. Apply online today! 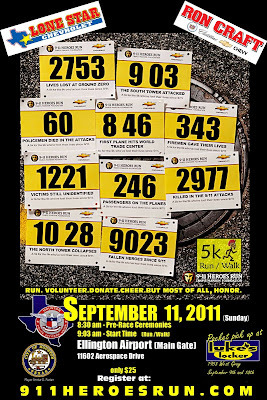 Come join the Travis Manion Foundation as we run to honor our Heroes. 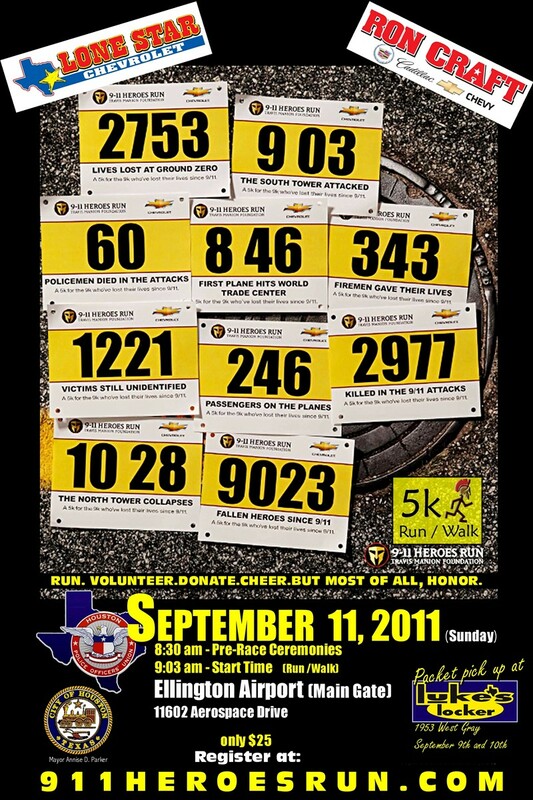 The 2011 9/11 Heroes Run is bringing communities together throughout the country this September 11th. 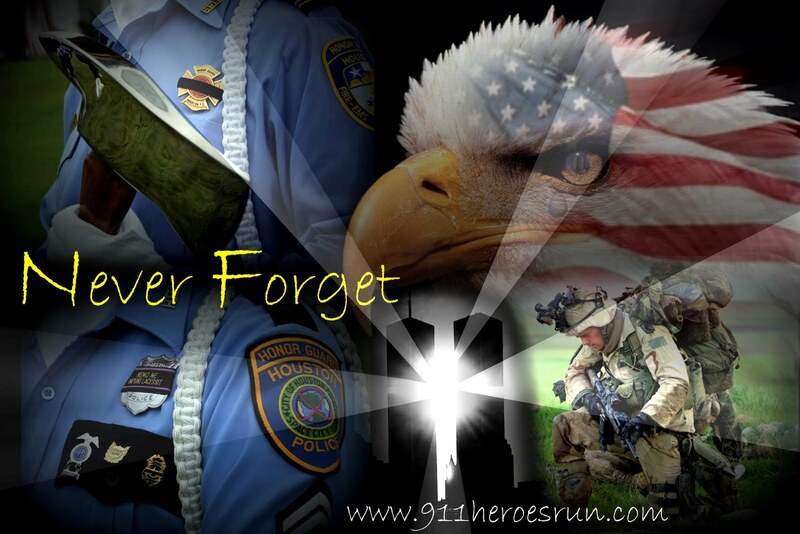 Our goal is to never forget the sacrifices of all of the Heroes of September 11th - veteran, first responder, and civilian. We honor the fallen by challenging the living. This is a run for charity with proceeds going to support the communities who keep us safe. Volunteer, Run, or just come out and watch - it promises to be a great time. 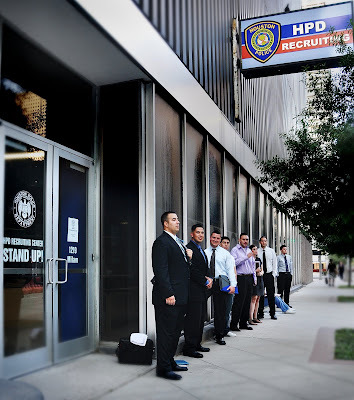 If you're undecided about participating ask yourself, "if not me, then who..."
Applicants cannot have tattoos or body art that is visible while wearing the official HPD uniform. If you have tattoos that would be visible in uniform you must have them removed or you will not be eligible for employment. 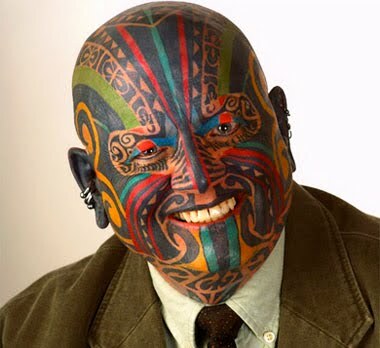 In the past, applicants who have had tattoos that are on the neck, face, head, wrists, or hands have been denied employment. If your official uniform can cover it whether it be long sleeve or short sleeve you will be fine, otherwise, you might want to reconsider where you place that tattoo. It's very important to know that you do not need to remove or cover the tattoo or body art during the application process. You may still go through the process, however if you are accepted into the academy you will be required to cover or remove the tattoo or body art at that time. It’s the beginning of the end. Only seven more weeks left. Our class has grown even stronger and closer to each other as we made it through Skills Training. 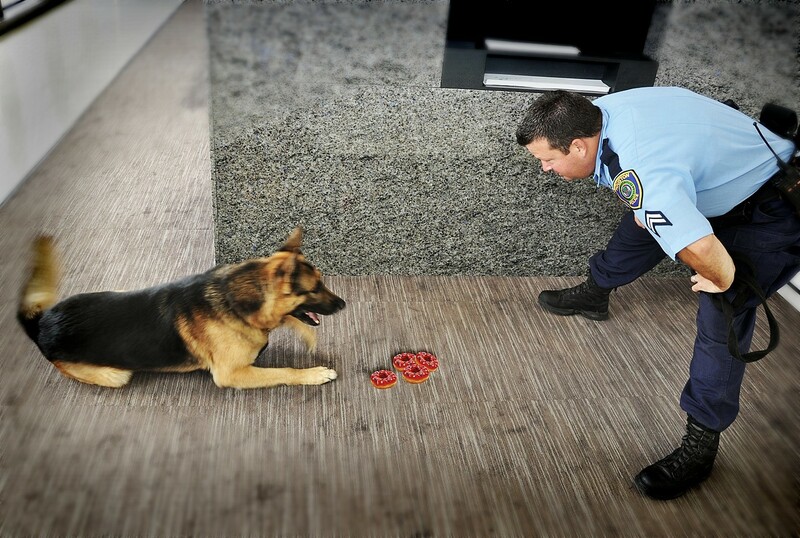 Next stop is Officer Safety training and even more defense tactics. “Officer Safety” is serious stuff. The instructors take their jobs seriously and everything they teach us is pertinent to making sure we stay alive. Last week we took part in doing fake traffic stops with fellow cadets or instructors playing the role of traffic violator. The instructors made sure that we approached the vehicle properly and made sure we did everything safely. Everything we do is important, including the words we say and the way we stand. It was really hot, really serious, but… I really liked it. On August 5th one of our instructors “Senior Officer Dickens” retired. He is an awesome officer and a great teacher. I just wanted to take this opportunity to wish him good luck in the future and to always remember where his family is, here at HPD. We had our seventh primary test a few days ago, I did really well on it and even better, we only have two primary tests left before we take our TCLEOSE exam. As I look ahead on our schedule for the next seven weeks, my stomach literally twists and turns and my heart races. I’m excited, but beyond nervous. Unfortunately, our class is down a cadet. Cadet August got moved back to 211 because of a broken clavicle. I can honestly tell you that ALL of Class 210 is upset by this. She is an extremely well liked cadet with a great personality and we will miss her. We never hesitate to tell her that she will always be part of Class 210. Luckily, instead of having just the 66 of us backing her up, she’ll have all of Class 211 to back her up as well. She will make a great police officer and I can’t wait to see her on the streets with us. The next few weeks in the academy we will be taught more “hands on” and more real life situation tactics as opposed to law blocks and code of criminal procedure. The instructors tell us that during the next few weeks, there isn’t any room for error. Regardless, I’m looking forward to the training in the next seven weeks, and even more, I’m looking forward to September 27th when we graduate. When the application process opens up again and you get a call to come in and speak with a recruiter, this is what you DO NOT to wear during your interview to become a police officer. 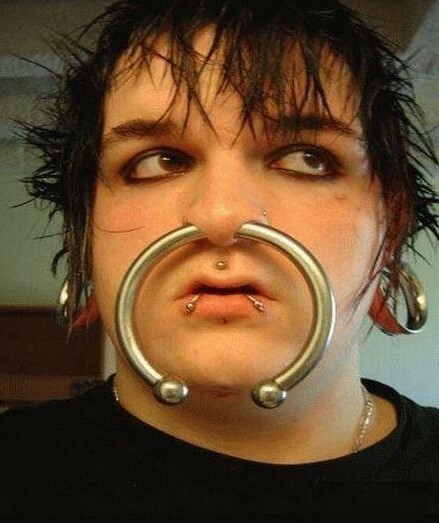 Remember folks, this is a JOB INTERVIEW, dress appropriately. 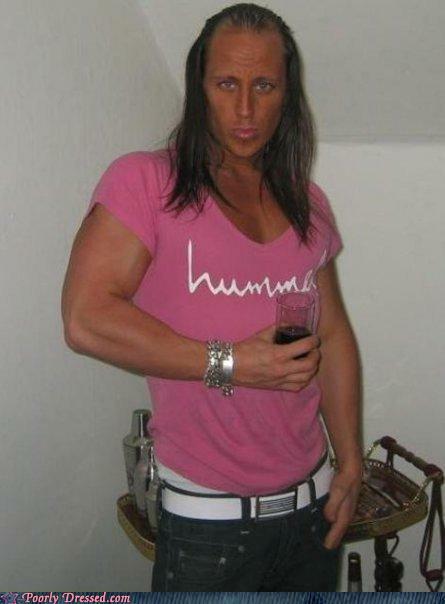 I suggest business attire or business casual. Make an impression, just don't make the wrong impression. 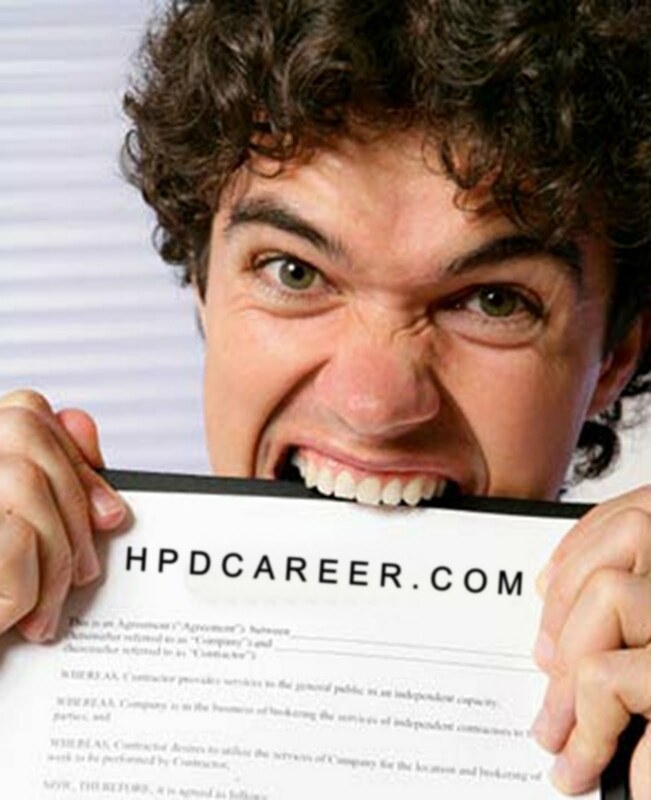 What is "Run With Your Recruiter?" 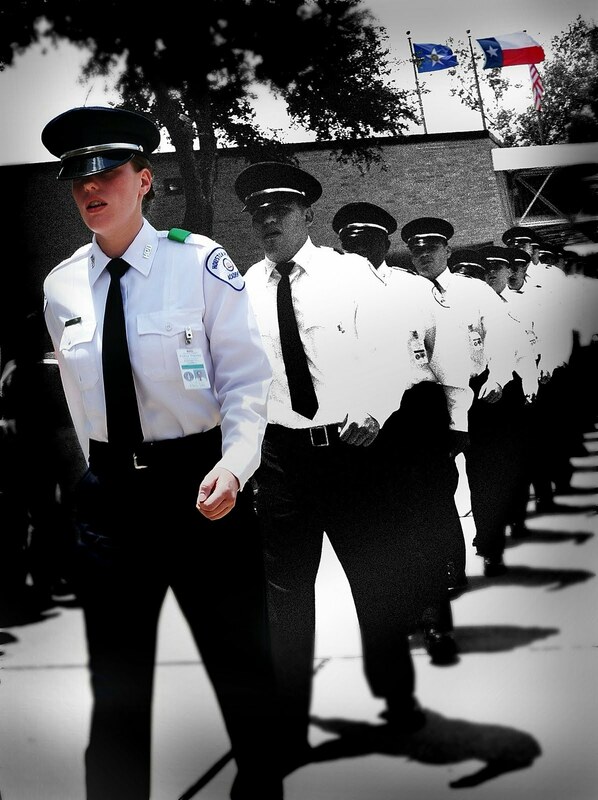 Run With Your Recruiter are planned events in order to assist individuals interested in becoming Houston police officers. It helps the individual become more aware of the physical requirements they will have to pass to enter the academy and to keep those slated for an academy class engaged and interacting with the department and the recruiting unit while they wait for the academy class to start. 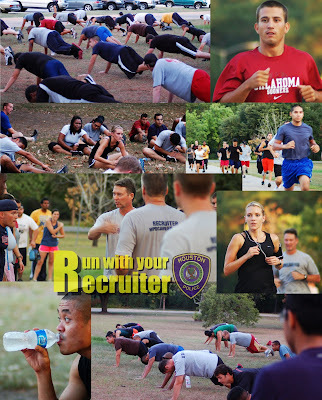 It consists of smaller gatherings each week in a local park where recruiters and interested individuals do a 1.5 mile run, push-ups, and one other activity on the PT test required to enter the academy. A larger event will be completed once a month where participants can do the entire PT test and have access to more information about the recruiting process and HPD in general. 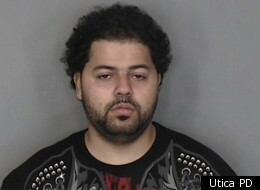 From the "Not So Bright Files"
A fugitive from upstate New York who taunted police on his Facebook page to `catch me if you can. I'm in Brooklyn' has been arrested.